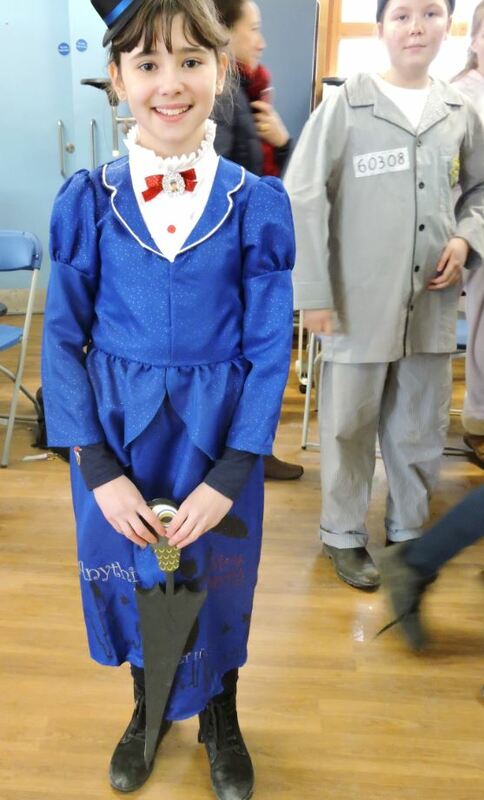 The World Book Day dress up parade, on Thursday 1st of March, was a very exciting event. 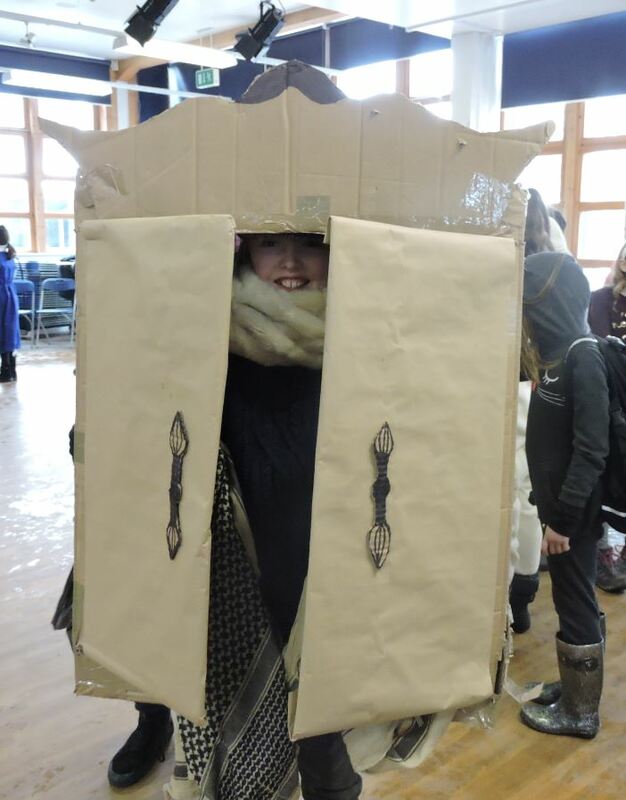 This year, students in all year groups had the opportunity to come into school as their favourite character and all students, and teachers too, made an incredibly imaginative effort to dress up. 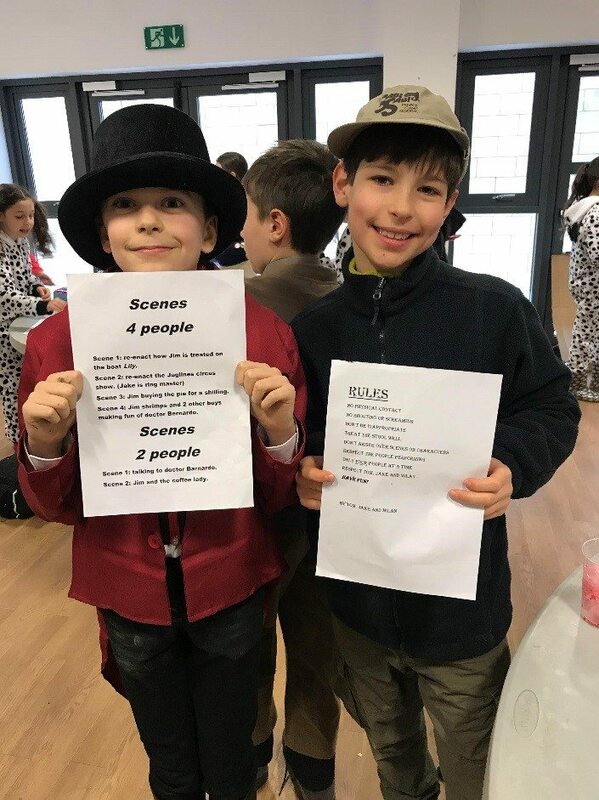 It was wonderful to see all of Lower School dressed up for the day and, despite the snowy conditions during the parade, lots of fun was had. 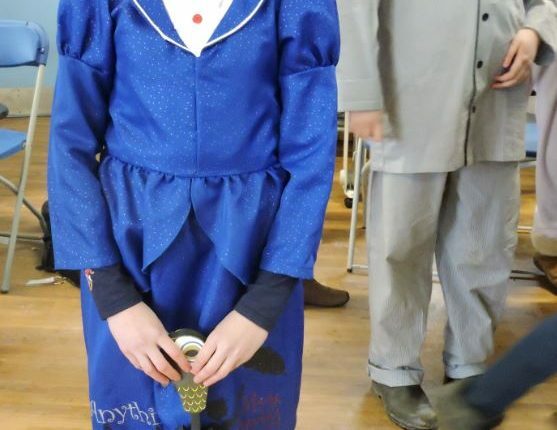 Thank you to all the parents who put such effort into the costumes. The children looked colourful and it was entertaining to guess who everyone was. 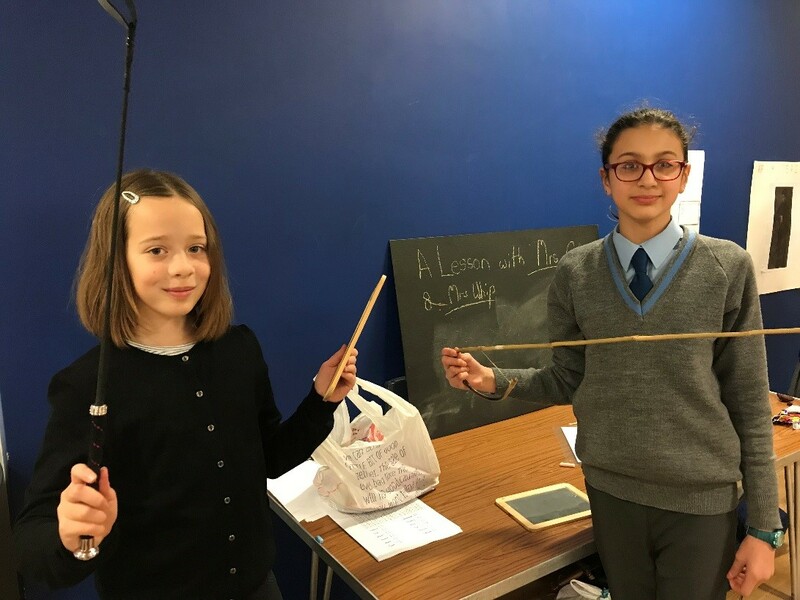 On the Thursday of Reading Week, the Year 6s were honoured to host a Victorian fair, inspired greatly by ‘Street Child’, our topic at the time. Stands varied from classic games in the Victorian era, to difficult quizzes to rack our brains. 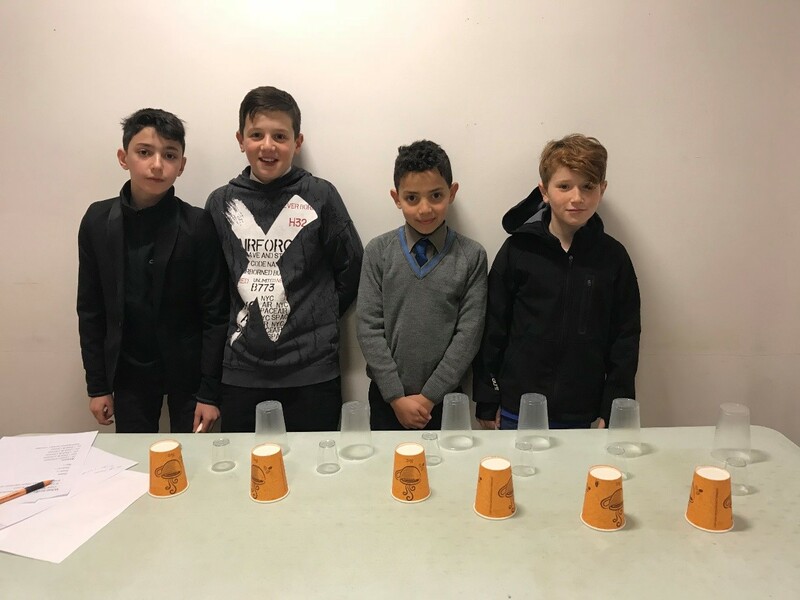 Everyone had an amazing time going round from table to table, tasting cakes, attempting quizzes, posing for photos and talking to friends. Each stand was more amazing than the last! 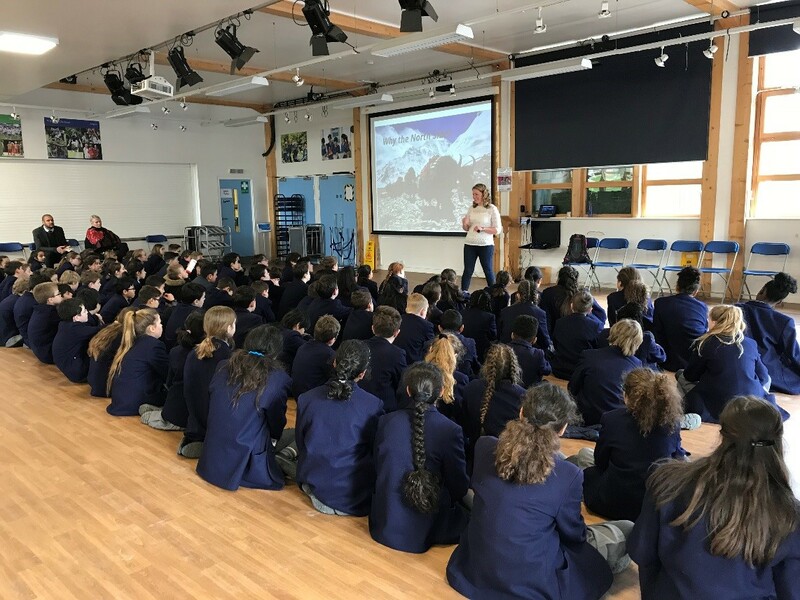 Pupils were inspired to ‘new heights’ with a talk from inspirational mountaineer Mollie Hughes. 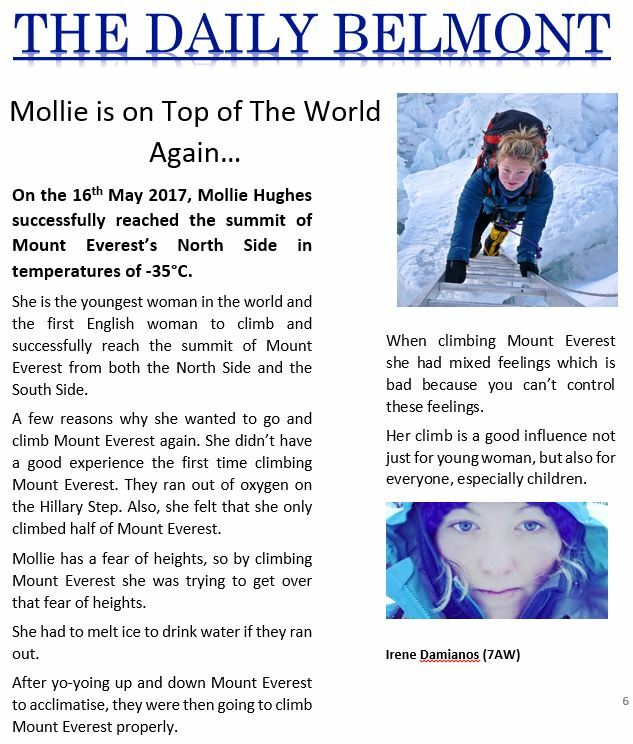 Mollie is the first English woman (and youngest woman in the world) to summit Everest from both sides. She achieved this feat aged just 26. 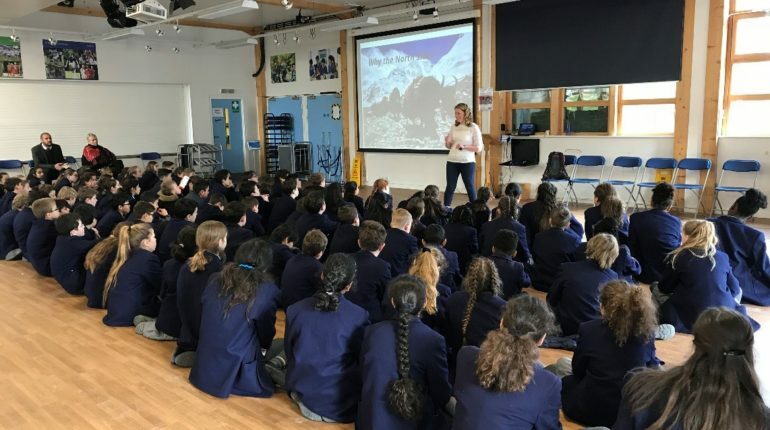 Students in year 6 and 7 were amazed by her tales of sub-zero temperatures, giant crevasses and mental fortitude. Perfect inspiration for the current year 7 topic of mountaineering! 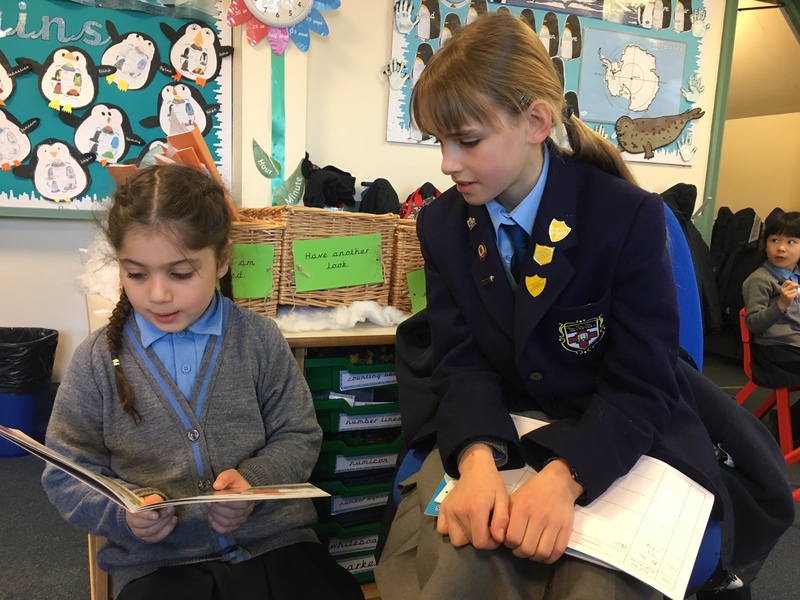 As a treat for our most regular readers, forty Year 7 students were chosen to visit Grimsdell and listen to the younger children read. Some were quite excited to see their old teachers and to show the Belmont teachers the classrooms they had used in the past. 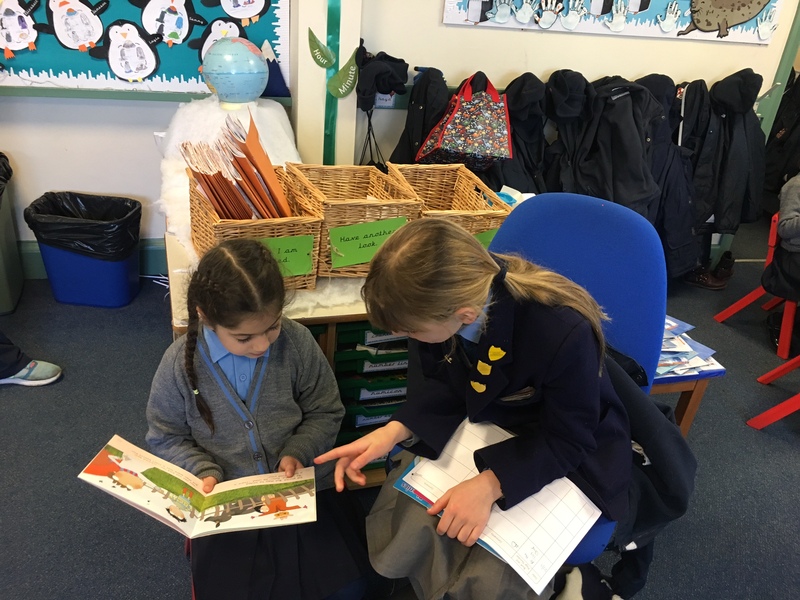 The younger children at Grimsdell really enjoyed sharing their reading experiences and our Belmont children suddenly appeared older and more confident – I could almost have been with a group of fellow teachers. 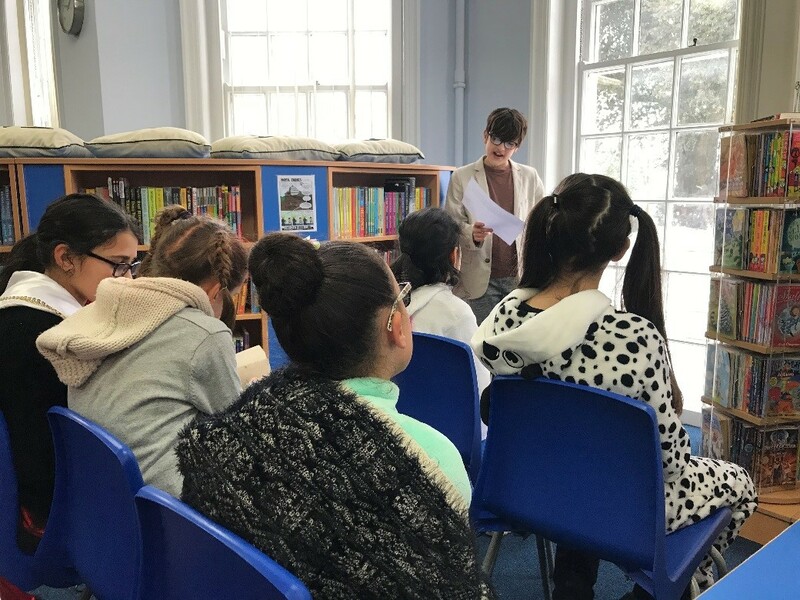 It was really nice to see the Year 7s take on a leadership role and for them to realise how far they have come on their own journey as readers. 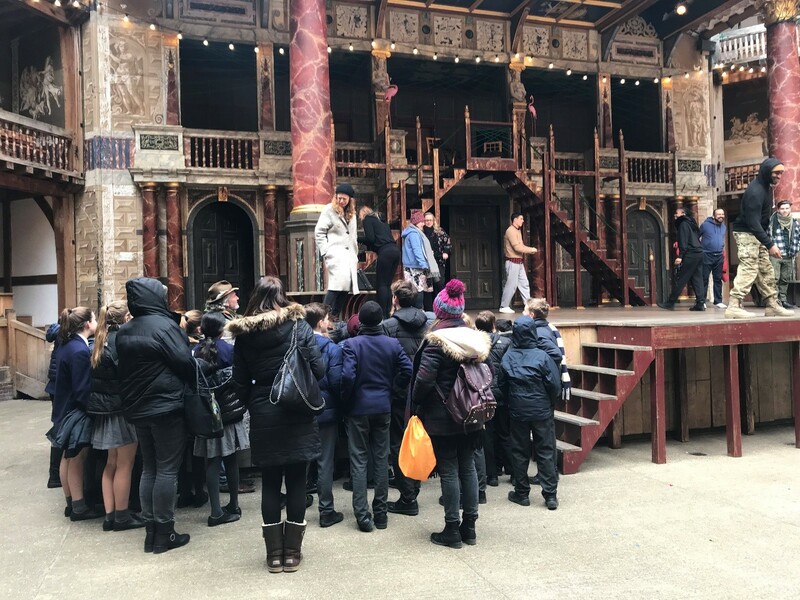 When we walked into The Globe the atmosphere was exciting and busy, with actors preparing for the play, which was to performed later that afternoon. I really enjoyed this part, as they seemed very laid back and it looked like they were having a lot of fun. 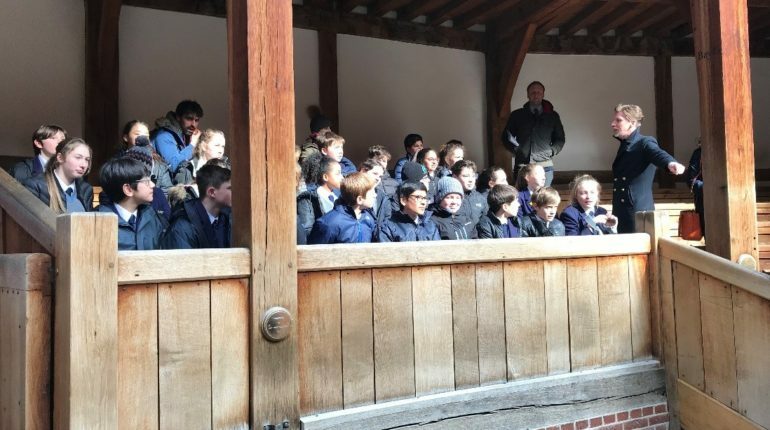 On the walls were paintings that emphasised the similarities to the first Globe built and we learned about how the seating was important, with the rich taking centre stage to show off their wealth. 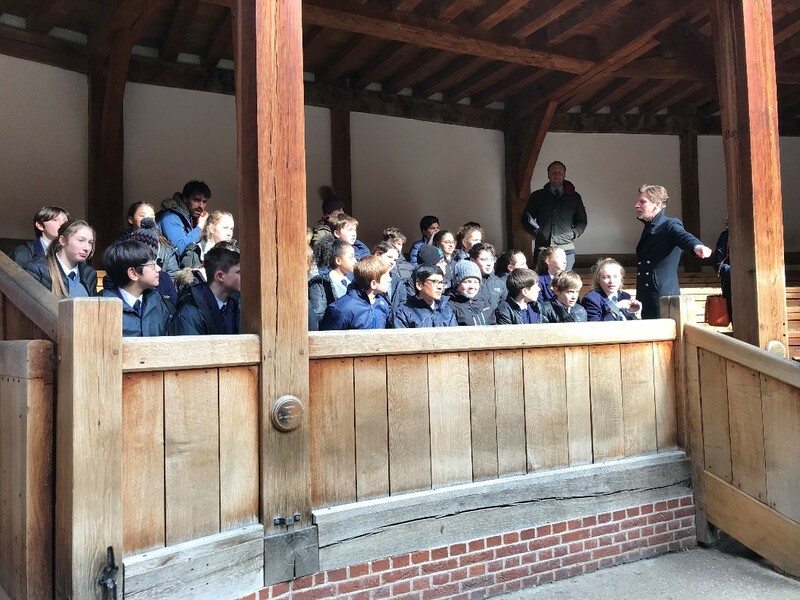 Everything was made out of wood and the roof was made of hay; this made it feel like I was back in 1576, if it hadn’t been for a canon that had been fired into the thatched roof and burned the theatre down. 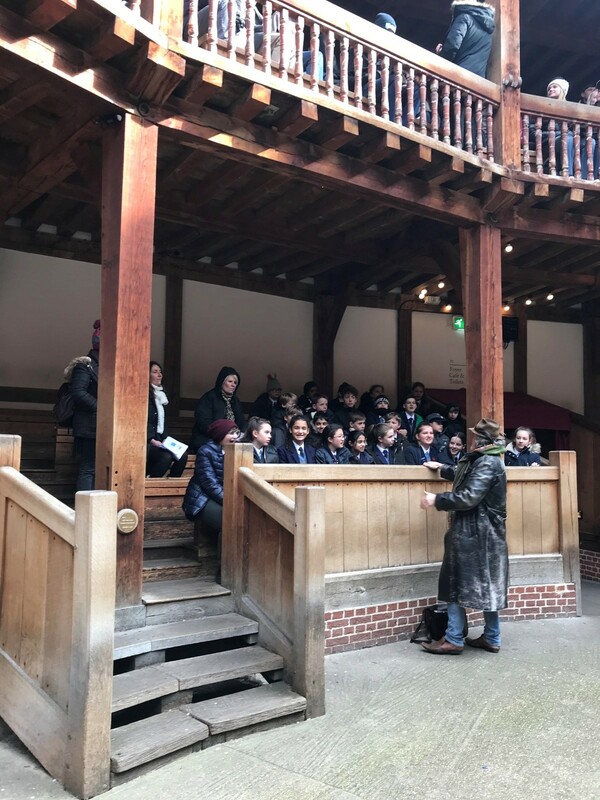 I really liked The Globe, especially walking in for the first time and seeing how magical it looked. 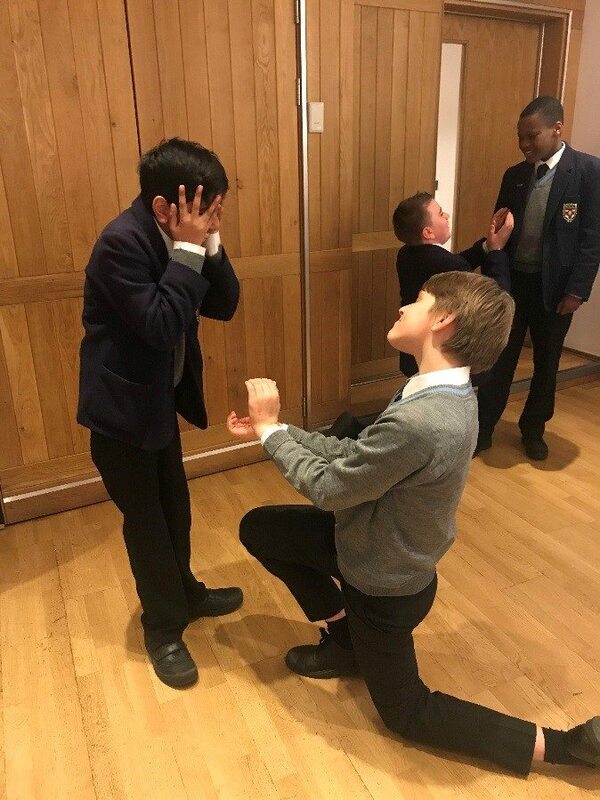 In groups, we did an acting workshop to widen our knowledge about acting on stage and how Shakespeare’s language should be performed. 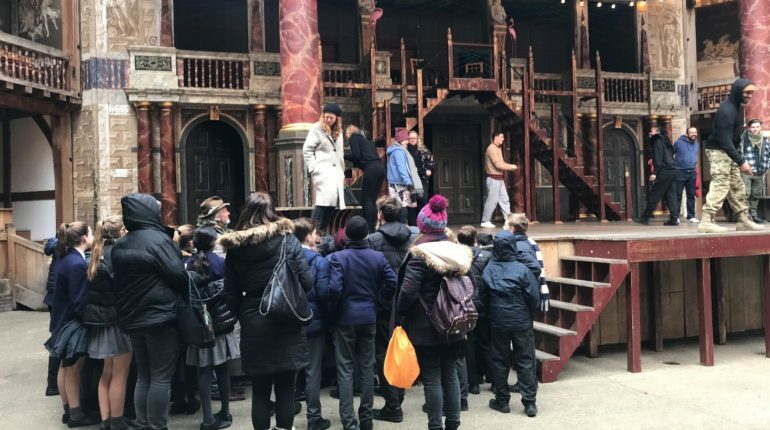 Everyone got involved and we had a lot of fun doing the drama activities, both learning about how to space ourselves on stage and how to speak Shakespeare’s words. 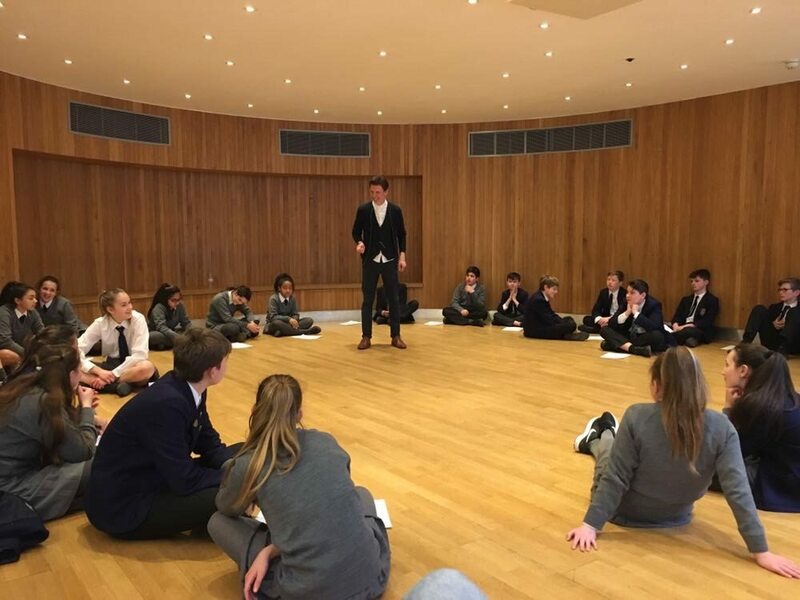 The professional actors running the workshop taught us that acting wasn’t just about skill, and he showed us a lot of new, and funny, ways to entertain an audience. 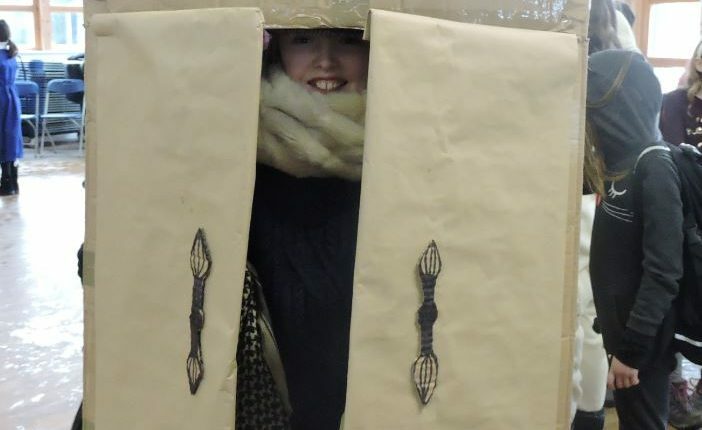 Everyone really enjoyed it and it was fun to see everyone try a new side to acting. 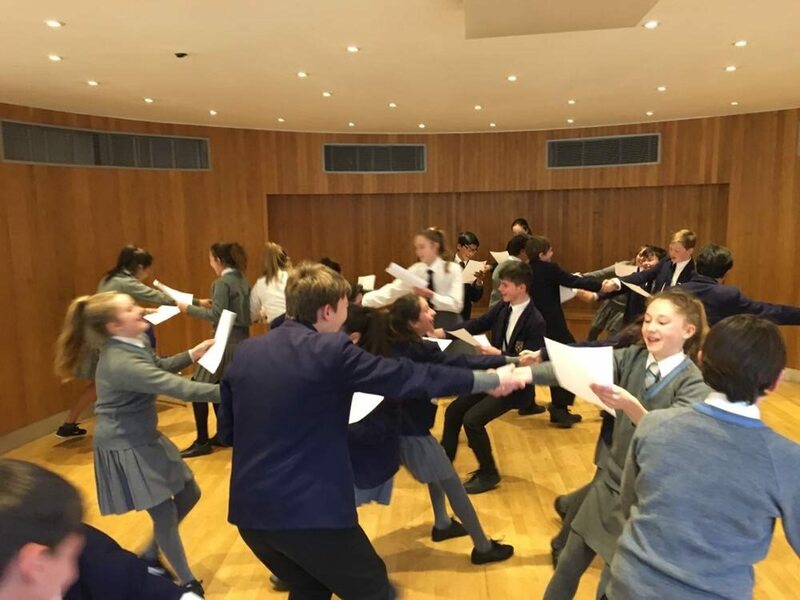 The workshop gave me a new insight into acting and it was interesting to see how the Elizabethan language was similar and different to now. 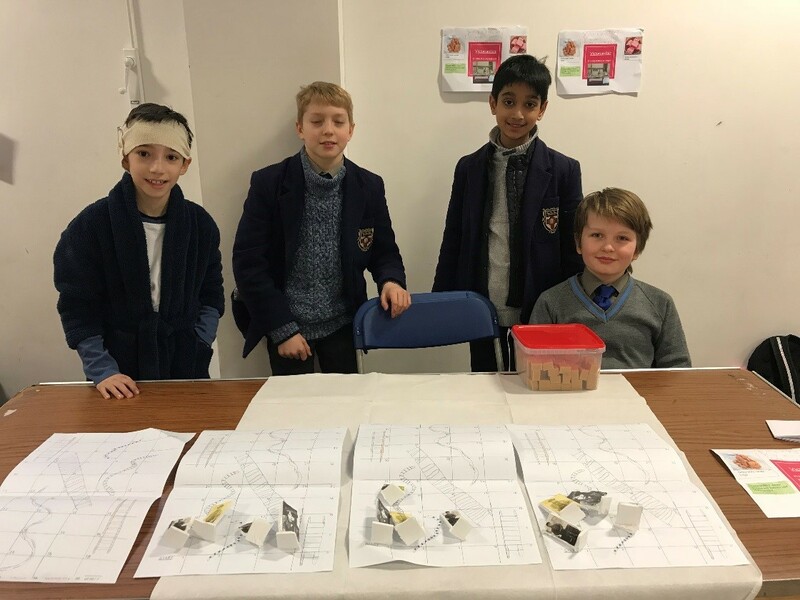 Back by popular demand, on Thursday Mrs Hunt and Miss Bufton ran a ‘Book Factor’ in the library for Upper School. 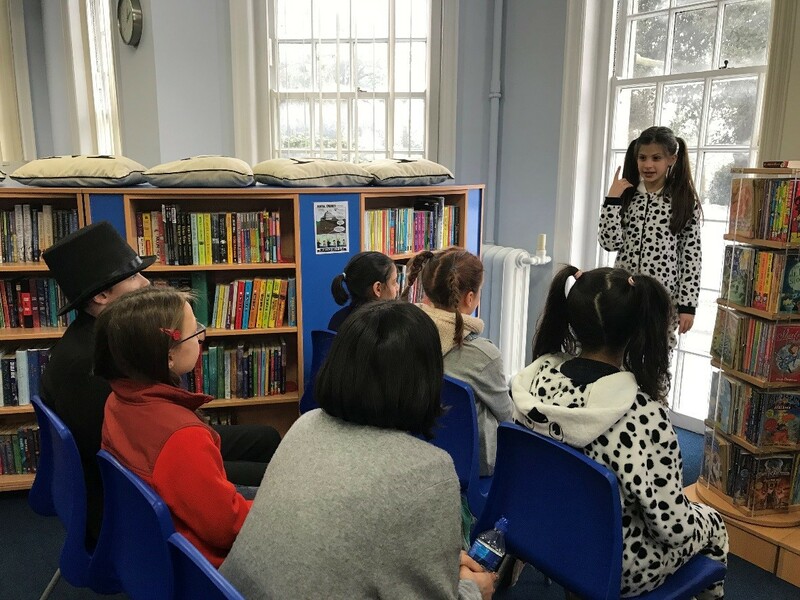 The auditionees stood in front of an audience and talked about a book they had enjoyed, why it was so good, and why we should all read it too! 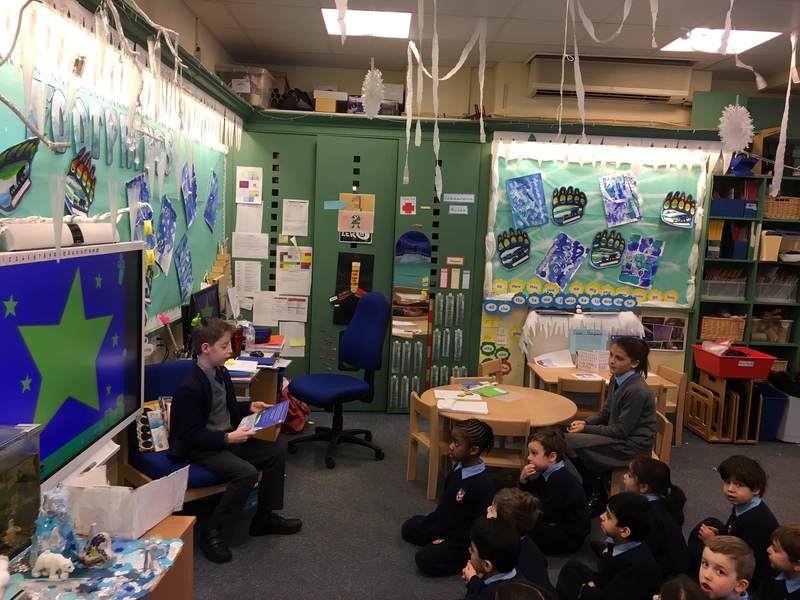 The children showed outstanding engagement with a variety of books, and also some very impressive presentation skills. 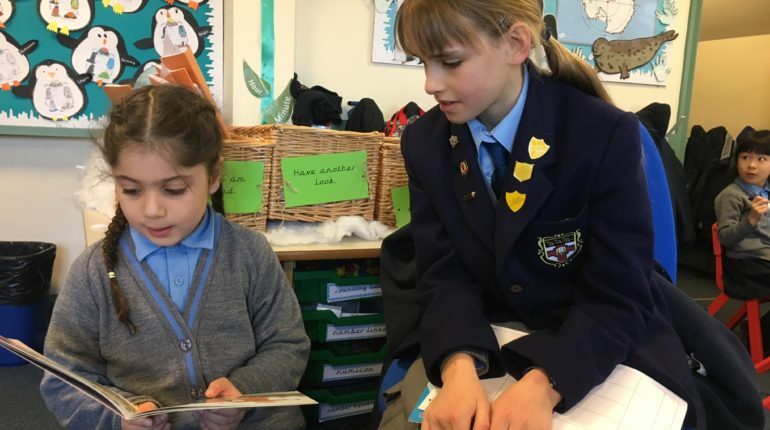 We were astounded by the effort that children had put into preparing for their presentations and we are very impressed that they gave up their lunchtime to help encourage others to read a book they enjoyed. 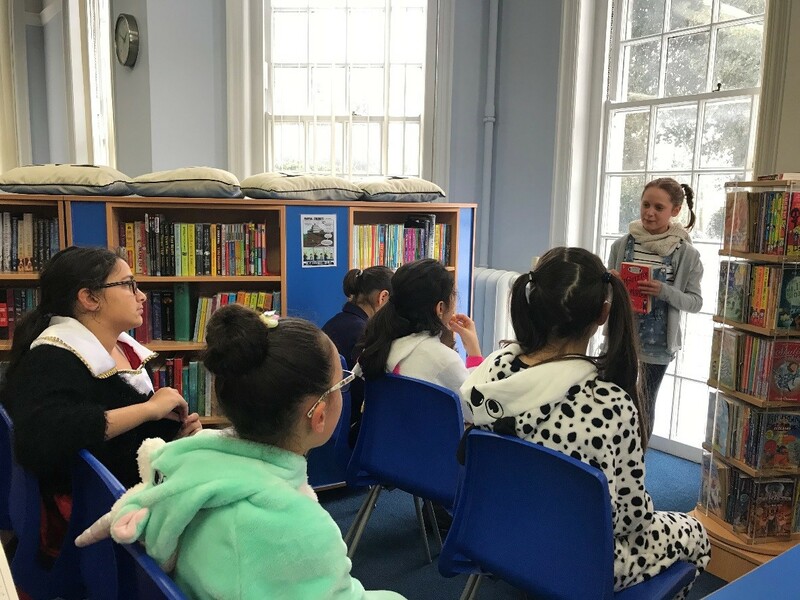 After much discussion, the judges awarded 3rd place to Isobel for her thoughtful comments about her book’s setting, and clear explanation of why the book is so enjoyable. 2nd place went to Christalla for the detail in her commentary and personal reflection. 1st place was awarded to Praniv, who was very well-prepared (even printing out visual aids) and gave a clear, well-structured talk with a good explanation of his novel’s themes. 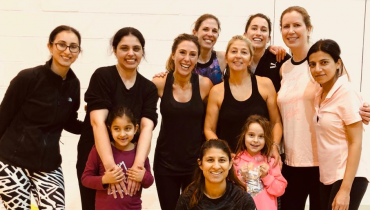 Well done to everyone who took part – thank you for making the event such fun! 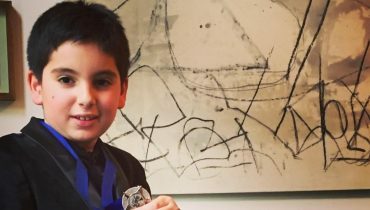 Praniv Ahluwahlia – Wonder by R. J. Palacio, a multi-viewpoint story about bullying, kindness and how people treat those with disfigurements. Christalla Marcou – Charlotte’s Web by E. B. White. Classic novel about a farmer’s daughter, her pig named Wilbur, and a very clever spider called Charlotte. Isobel Murphy – Mistletoe & Murder by Robin Stevens. 5th in the historical mystery series featuring schoolgirl detectives Dairy Wells and Hazel Wong. This title is set in Cambridge during the Christmas holidays. Mia Lloyd – Magical Myths – author unknown. A book about unicorns that draws the reader into a mythical universe. Nicki Panah – My Sister Jodie by Jacqueline Wilson. A story about family, growing up and fitting in. When their parents take jobs at a posh boarding school, shy Pearl starts to make friends, but things aren’t going so well for brash Jodie. Kiera Virk – Hidden: True Stories of Children Who Survived WWII by Marcel Prins and Peter Henk Steenhuis. A collection of true tales about Jewish children who went into hiding in the Netherlands during WWII. Anna Davies – Varjak Paw by S. F. Said. Thrilling adventure illustrated by Dave McKean with a dark, gothic quality. Follows the adventures of a house cat who is forced onto the streets when sinister forces take over his home. Amelie Starr – Wed Wabbit by Lissa Evans. Longlisted for the prestigious Carnegie medal, this dark and humorous book follows older sister Fidge, who is sucked into a picture-book world with her wimpy cousin Graham – how will she fix the Wimbley Woos and get back to her own world? 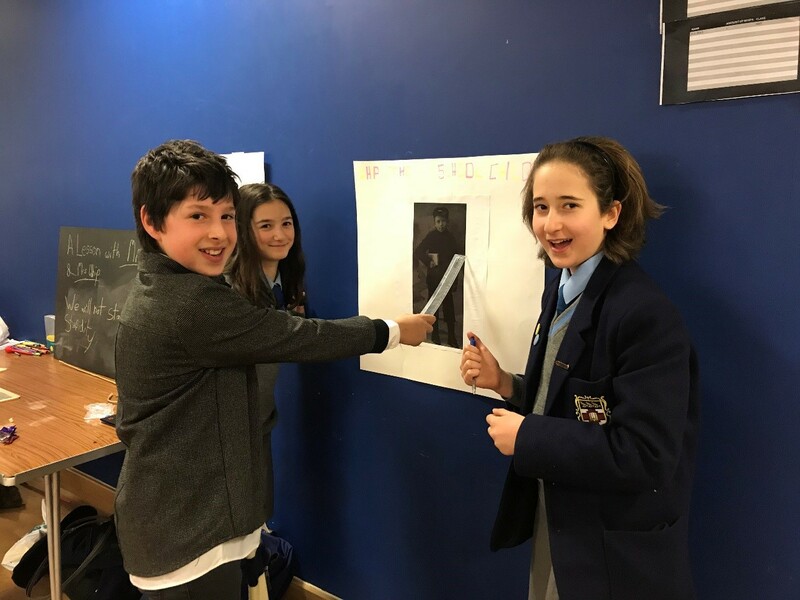 In creative writing club, the children have been inventing their own detective stories, drawing on inspiration from Sherlock Holmes. In reading week, we also looked at the theme of characters who possess special or secret powers. 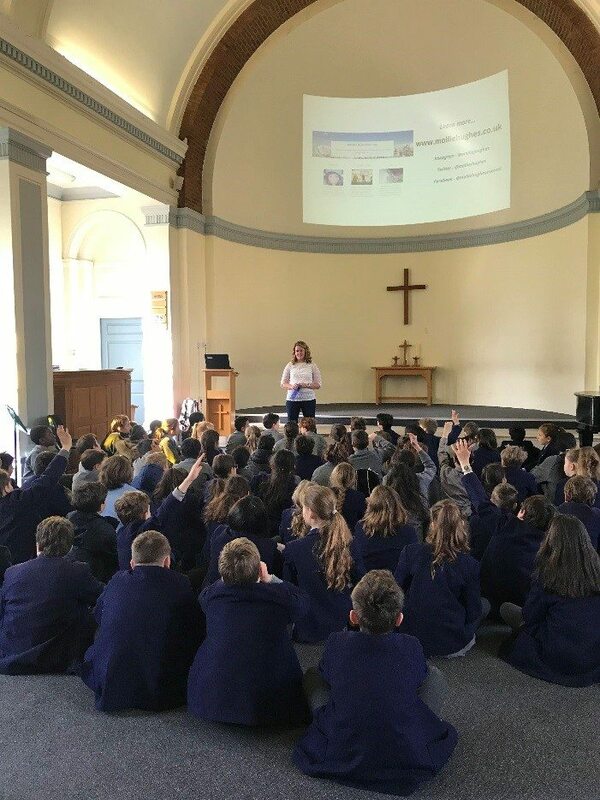 The children talked about the kinds of superpower they would like to have including: flying, mind-reading, super-strength, time-travel and the power of persuasion. They then started to write some amazing stories. Below are a few story opening samples I am sure you will enjoy. My heart pounded. Sweat dripped from my face. Tears cascaded from my eyes, flowing like a waterfall. I couldn’t believe what had just happened. Dead. Dead as silence he was. My own Jerry lying there motionless, not a breath coming from his little mouth. I was feeling emotions that I had never felt before, ones that I didn’t even know existed. Tick. Tock. Tick. Tock. BONG! The clock struck one. Sherlock stood at the window, gazing- gazing out into the streets, and the rolling hills of the landscape. He muttered. “Nothing’s happened for days, weeks, months! Has the world sorted itself out? What will happen to me?” He buried his face in his hands… Creak. He turned, as quick as a bolt of lightning. “Hello, sir. Anything yet?” It was Debby. Debby Jones. Sherlock turned away, and glared at the wall. 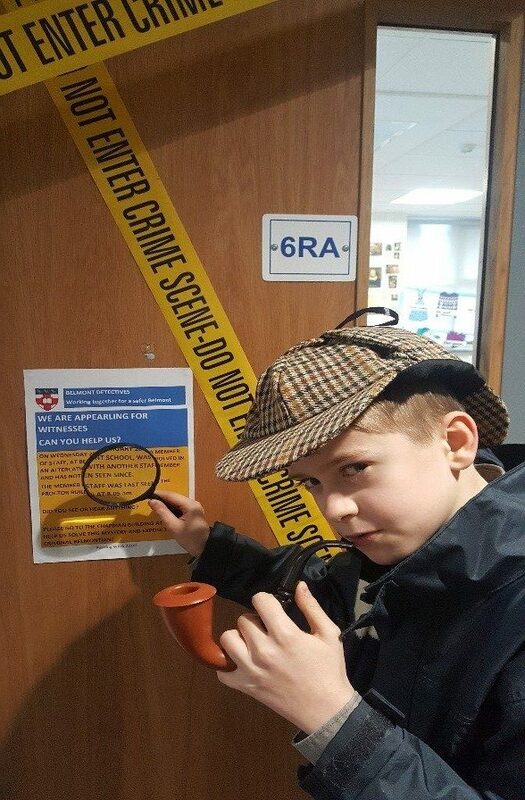 Wednesday of Reading Week, Belmont detectives gathered to the Chapman building and reported for duty to their inspector – Miss Ali. 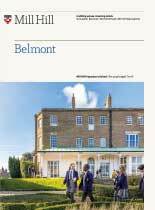 Their task… to solve the Belmont murder mystery! 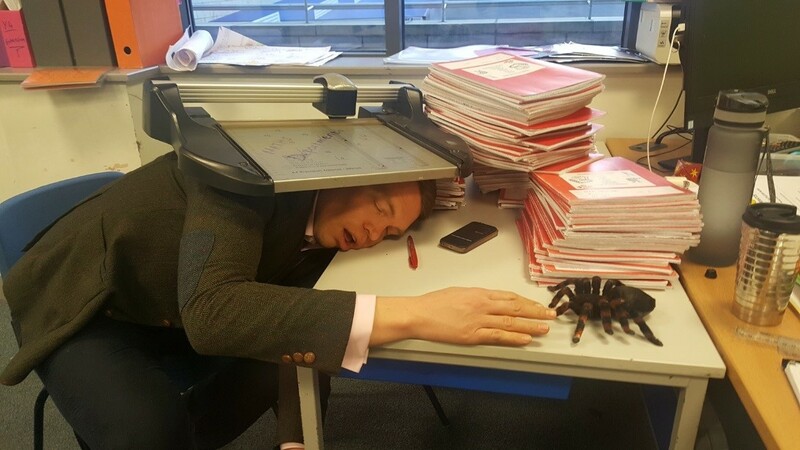 Mr Spink was brutally murdered and his beloved pet spider was callously poisoned! Who was the murderer? What weapon was used? What was the motive? 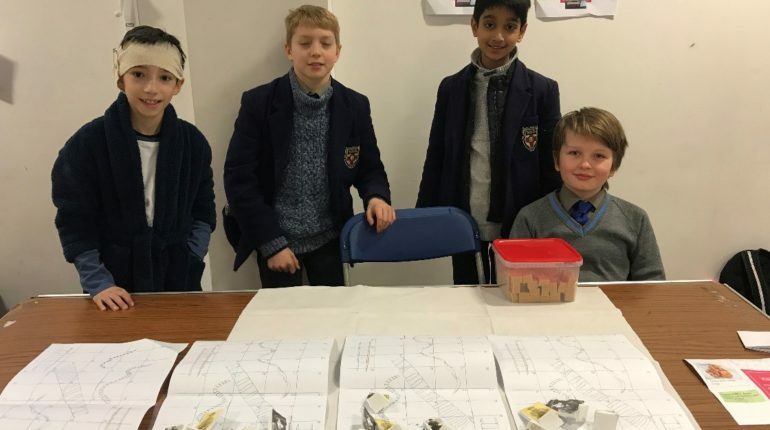 Belmont’s trusty detectives industriously scoured the school for hidden clues and solved the riddles to guide them on their way. 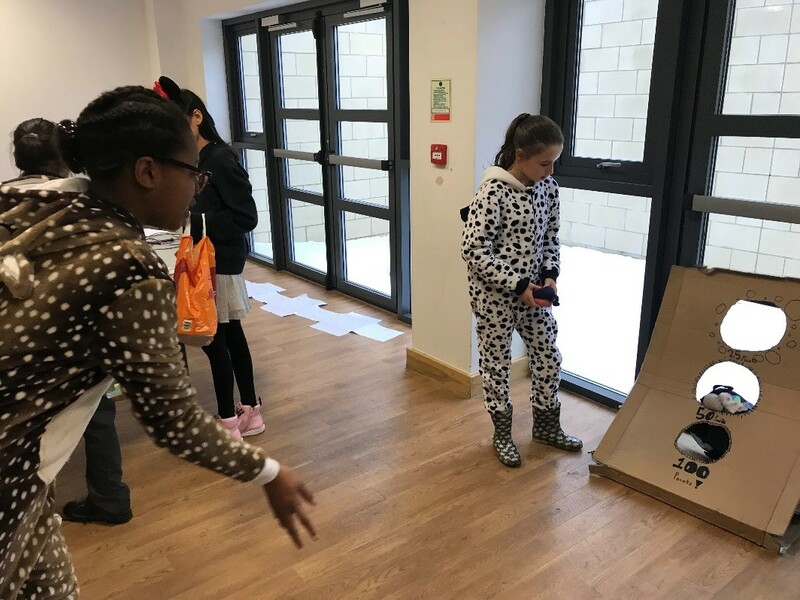 Students raced against the clock to report back to their inspector with their evidence, to expose the fearful assassin. 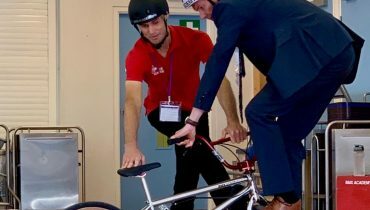 The outcome shocked students and staff alike. The killer was the trusted Inspector herself… Miss Ali!